The right ceiling decoration can help room look higher, while light wall make room look bigger. If wall hold role on horizontal direction, so ceiling is on vertical direction. 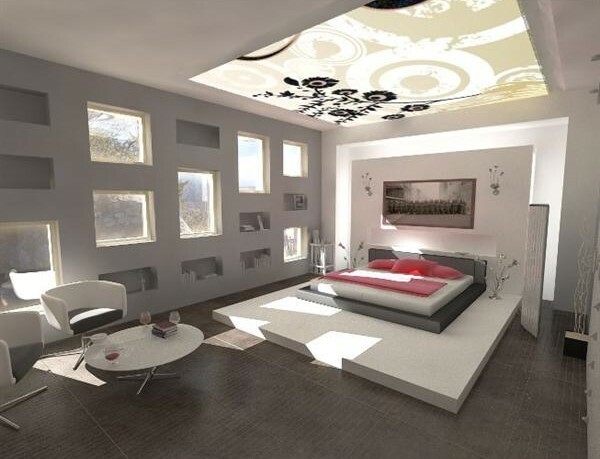 Decorative ceiling can add accent ornament on bedroom. Ceiling can be adorned with paint, stencil, mural, wallpaper and molding. There are many room ceiling designs ideas can be tried to make it look wonderful. If this room has low ceiling, it can be handle by painting it with white, install wallpaper with vertical strip line ornament and faux painting kits in the same style. Also taller curtain can create higher impression, especially if this curtain has vertical line pattern. First room ceiling designs idea is painting it sky theme. If we like science fiction movie like Star Trex and Star Wars, then we can paint with star, sun, planet, galaxy and outer space. It will bring us adventuring into other galaxy. If we like starry night atmosphere like on Van Gogh’s painting ‘Starry Night’, then ceiling is painted with tree, hill, field, sky and stars above it. Use expressionist style if we can to bring the real Starry Night like on Van Gogh’s painting. Second room ceiling designs idea is decorating it with large art painting. If we have large art painting, it will make us meet difficulty to install it on the wall, because it will spend many area. By removing into bedroom, this wall area can be used for other items, such as if we want to put bookshelves or floating shelving. Third idea is painting it with paint to create beautiful ceiling like on heritage building from Gothic era. Maybe we can hire local artist to do it. It will be big canvas that we can enjoy when we look at to the top. This ceiling is fit for people who have art soul. Fourth idea is beautifying it with stencil. Do you want to bring garden into ceiling? Doing it with stencil. Imagine there are butterfly, bird, flowers and trees on ceiling. It is good, isn’t it? Fifth idea is using wallpaper. It is more practice than mural. There are many wallpaper options on the store. Just specify which is good for ceiling. Sixth idea is installing molding. It is tend to building task than art work. Molding on many style and shape are available on building store. 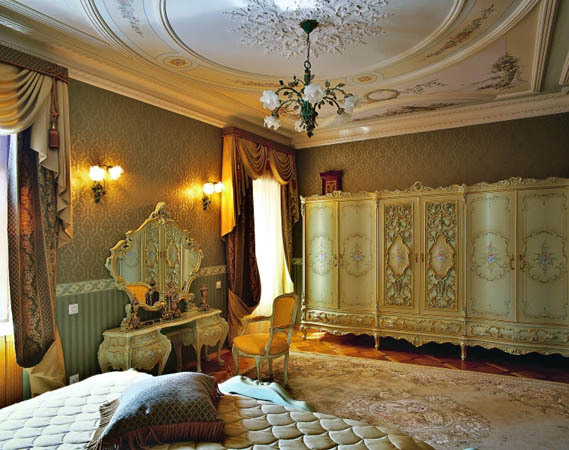 If we don’t like adorning ceiling with art touching, molding can be tried. 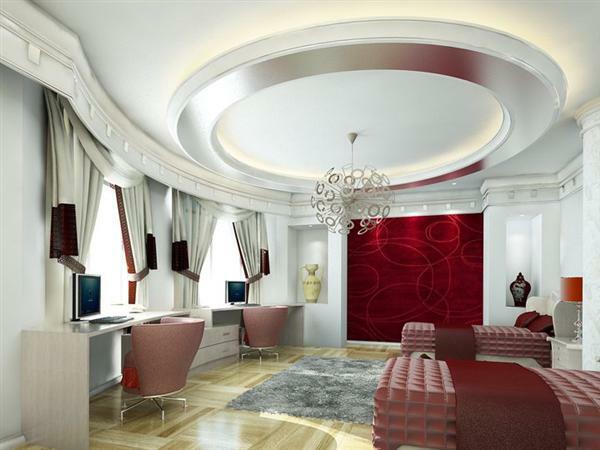 Need more great design ideas on 6 Ideas To Create Beautiful Ceiling? See our full gallery!